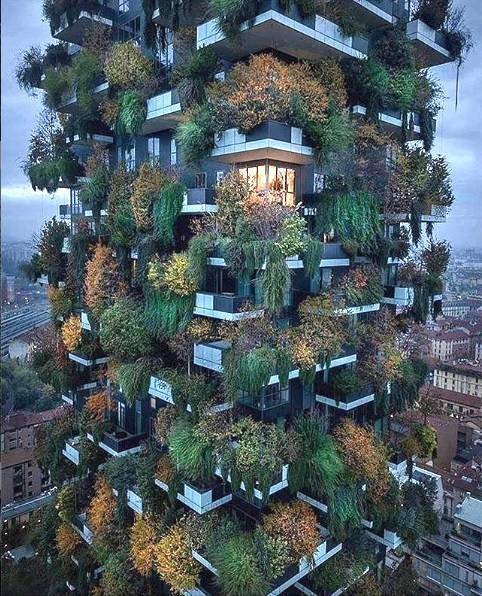 Bosco Verticale is doing this by bringing nature in the urban texture. The benefits are endless. 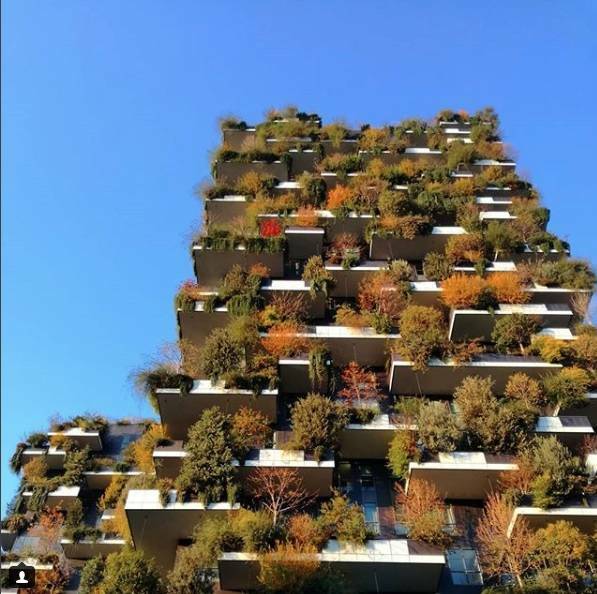 Even if not magical, a vertical forest does exist in reality, it is called Bosco Verticale and it’s located in Milan, Italy. 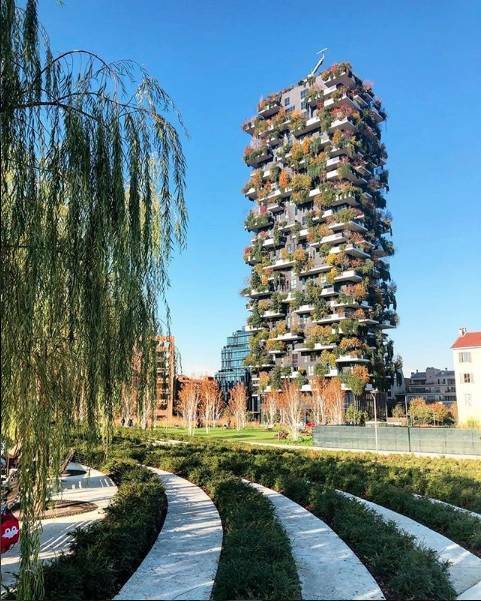 Bosco Verticale (in English Vertical Forest) is the marvelous masterpiece designed by the Italian architecture studio of Stefano Boeri. This project is part of the architectural renaissance that has been impacting Milan. 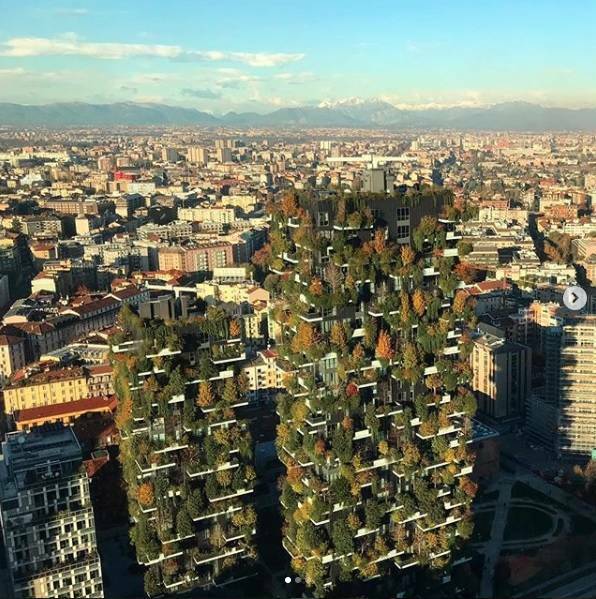 This urban innovation process began when the city was granted the 2015 International Expo and since then, Milan has begun a transformation that has brought a series of new high rise buildings. As a young architect, I have never experienced such an enthusiasm and an international interest in the Milanese architecture scenario. The city was stuck in the past; the last innovative project was represented by the Pirelli Tower, at the time the tallest building in Italy, designed by Gio Ponti and Pier Luigi Nervi, completed in 1958. Milan’s skyline had to wait 56 years to get international recognition again. Bosco Vertical consists of a pair of residential towers in the Porta Nuova district, respectively 364 ft tall and 249 ft tall. 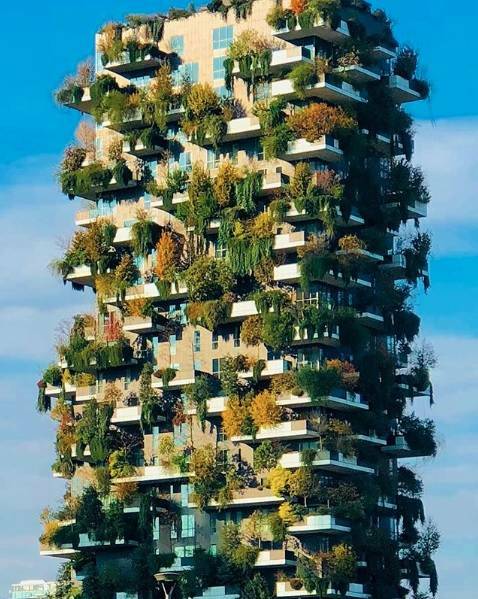 What makes them so unique is the fact that their façade is mostly covered with plants planted on a series of balconies scattered on the building. Specifically there are more than 900 trees, 5,000 shrubs and 11,000 herbaceous plants. The name originates from this concept, a vertical tower that looks like a forest. We all know how important nature and plants are for the health and wellbeing of humans and the ecology. Trees and plants provide shelter for animals and insects, their green canopy filters the air from impurity, produces oxygen, lowers high urban temperatures and small mammals and insects fertilize the flowers that will transform into fruits and produce. Homo sapiens come from the forest and we started building homes and cities after the agricultural revolution that took place 12,000 years ago. Before then we were nomads able to sustain our life by hunting and harvesting what nature had to offer without major alteration to the surrounding environments. Agriculture transformed us, and made humans settle in a non-movable location, where we would invest our time to cultivate and grow crops. After millennials, humans have lost contact with nature, cities are now the antithesis of nature; it has become a concrete desert where food and resources are brought in from faraway lands. The ecological implications of these transformations are quite destructive and have caused the fragmentation of natural lands and the impoverishment of our flora and fauna all over the world. We need to be more sensitive toward the environment and take more responsibility. If we integrate nature in our habitats we can help mitigate the negative effects of cities on the environment. The 20,000 trees and plants in the buildings convert approximately 440,000 pounds (199,580 tons) of carbon each year. With more than 90 species, the buildings' biodiversity is attracting new bird and insect species to the city. The green façade helps moderate temperatures, providing shade in the summer and acting like a screen for winter winds. The vegetation also protects the interior spaces from noise, pollution and dust from street-level traffic. We have to keep in mind that a building like this is not easy to execute, this is a very refined project that needed the collaboration of specialized consultants; arborists, irrigation experts and engineers had to put their minds together to get to this result. Plants are living materials, even though trees are a very resilient form of life, they are very susceptible if they don’t get their basic needs; soil, water, nutrients, and sunlight. When designing a building like this, we have to account for the action of the wind on the higher portion of the tower; we have to think about placing the specimen so that one won’t smother the other and natural sunlight can reach all of the trees. Younger trees perform better under stressful condition as they have higher adaptability quality. It will be interesting to see how the towers will transform sustaining this incredible biodiverse world that is in constant evolution. The vegetation gets yearly monitoring inspections both from inside the apartments and from aerial arborist climbing the tower. 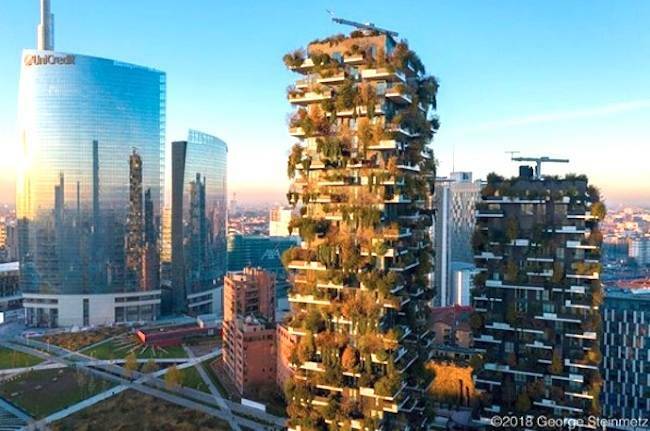 Imagine if every new building was able to host rich vegetation like the one of Bosco Verticale, we would create a new series of habitats that will become an environmental corridor which will give new life to the main parks in the city. We would give back to nature what we took in the first place. The towers are exquisitely designed and are beautiful to look at, both from the street level and from its interior spaces. It is a beautiful example of how we can integrate nature in our life and enjoy its great benefits. In 2014 the project won the International High-rise Awards and just a year later, Bosco Verticale was selected as the best tall Building Worldwide. Even if Milan had to wait 56 years for an architectural renaissance, it was worth the wait. This beautiful project is casting the light for a brighter future of sustainable architecture, and environmental sensitivity. Other similar buildings are in the works in countries like: Switzerland, The Netherlands and multiple cities in China. 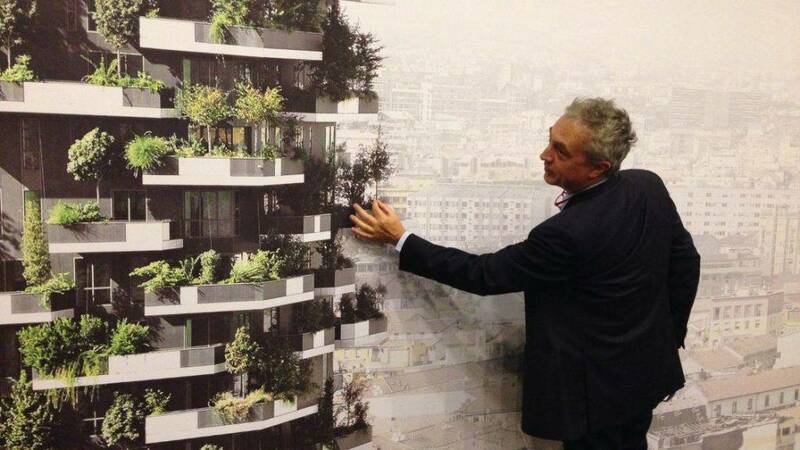 We hope to see more and more buildings utilizing plants and trees as part of their skin. Jonathan Paul Fargion is a Project Manager - Landscape Designer . Born and raised in Milan. Today works as a landscape designer for Rees Roberts and Partners, designing high end private gardens.